Linking your e-commerce to Billdu is the fastest way to generate professional invoices, manage and ship orders automatically. All documents can be easily transferred directly to your accounting. The whole process can be managed through an outstanding web or mobile app. Give it a try! Stand out from the crowd and present yourself with professional invoices. Set your own logo, create a signature and choose a colorful design. Add a QR code or PayPal email for a quick payment. Allow your customers to save the invoice or rate your products right away. 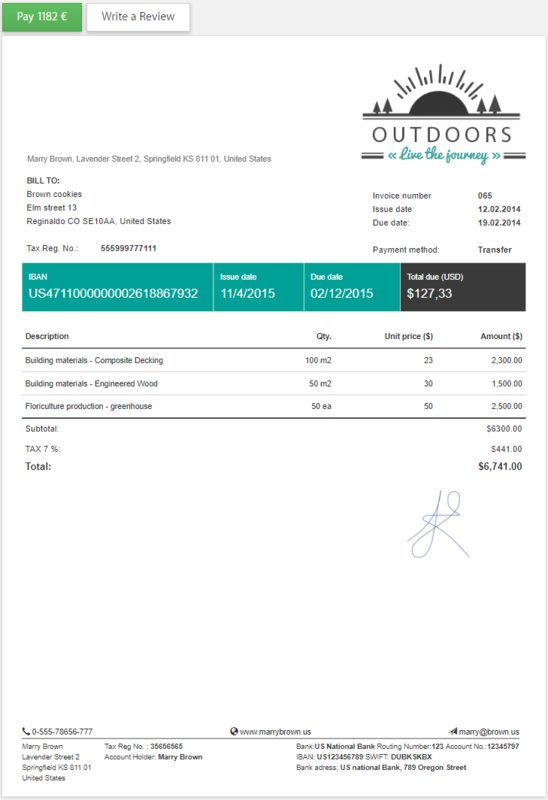 After a customer places an order, Billdu automatically issues an invoice. The invoice can be sent by an e-mail client or can be downloaded from your online store. Orders are automatically transferred to Billdu where you can easily edit them and change their status. You can make all you documents available to your accounting officer, who can easily import them to an accounting software. Keep track of your shipped order directly on your smartphone and receive notifications of your goods location. Whether it is your morning coffee or evening sofa, managing Internet business is a whole-day activitity. Billdu has developed excellent mobile applications for iOS and Android with which you have your business under control the whole day. You will certainly appreciate the possibility to manage your agenda right from your smartphone. Why Choose Billdu Invoice Generator? With the apps and integration tools of Billdu for eshop platforms such as OpenCart, Shopify or WooCommerce you save a lot of time. Billdu mobile apps and online dashboard offer the greatest comfort for operating and monitoring your business. Need help with your eshop integration? Would you like to link Billdu to your e-commerce but you don’t have a skilled programmer at hand? Contact us and we will help you integrate Billdu into your system.